I attended a great local networking event last night in my local Orange County, California. There were many people who I had communicated with on Twitter and finally had the chance to meet…the feeling was almost like seeing long lost friends! I will save Tweetups for another blog post, because what interested me last night were how many people I met last night that were active on Twitter but not at all on LinkedIn. Many saw the latter as just being a site for “professionals” or really didn’t know what to do with it. In order to really explain what is the value of spending time on LinkedIn to those that are new to it or do not fully understand it, I think it is best to ask what it is in the first place and elaborate some reasons why everyone (and I mean everyone from Gen Y and Millenial college students to Baby Boomers) should be utilizing it. LinkedIn is really a huge database of professionals. Twitter lacks profile depth, Facebook is all over the place demographically and is also hard to find people. LI standardizes information entered by users into predefined “Profile Headline”, “Summary”, “Education”, “Company”, etc. categories. In addition to this huge database of information, the platform also provides an awesome search tool to allow you to pinpoint the person you are looking for depending on a number of very specific factors. On the other hand, the more connections you have, the closer you will appear to more people – and the closer others that you might want to contact will appear to you. LinkedIn is the place to find other professionals and be found by other professionals. 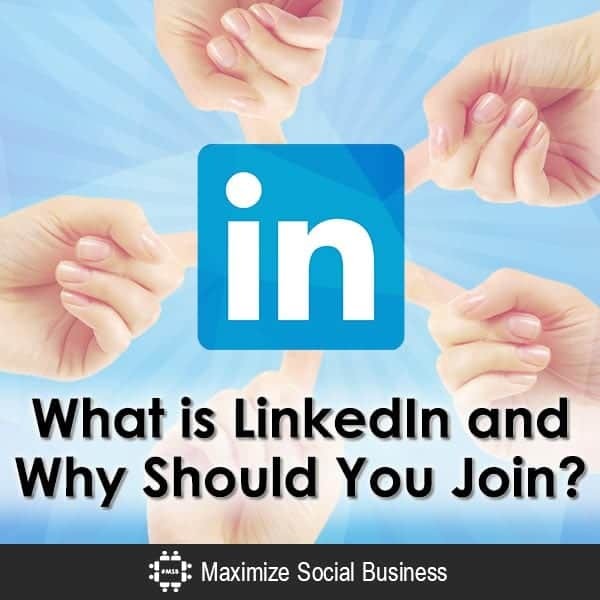 Why Should You Join LinkedIn? I wrote a blog post on 7 reasons why every professional should join LinkedIn, but I wanted to follow up with an updated recap of the 3 biggest reasons for those who are still not sure as to how much time they want to spend on the networking platform. Yes, Classmates.com and Facebook also allow you to get back in touch. But because of the search functionality that LinkedIn has, I am finding people there that I can’t find on the other social networking sites. And because it is easier to be found on LI, many are finding me too! You can find people primarily from where you both went to school as well as where you worked. There are almost 2,000,000 Groups (see screenshot below) that you can join. Each group has its own Discussions Board, News Board, and Jobs postings. The subject matter in Groups covers a wide enough of topics that there is value for everyone to be participating. Furthermore, with LinkedIn Pulse, you can now read the news curated for you and your industry and keep tabs on what news you need to know from a professional perspective. Social Networking is a Career Insurance that you can never have enough of. The advice is the same whether you are looking for a job or are happily employed: a network should be your insurance for your future career growth. Companies are organic entities whose needs change and do not and cannot promise you a guarantee that your job will be there 10 years from now, next year, or even next month. That is why you need to be on LinkedIn so that you can both find potential companies and recruiters as well as be found by them. Even if you are happy in your job, it can’t hurt to have a minimal profile on LinkedIn and receive contacts from recruiters in your industry or specialty who may be able to help you out in the future, can it? LinkedIn is free career insurance! BUY INTO IT! Note that it is also important for college students to dig their well before they get thirsty as well for the same career management reason, so if you are a college student or know of one, please check out my post in LinkedIn profile tips for college students. If I was to list one more reason to be on LinkedIn, it would be to establish and maintain a robust professional brand, but some might consider this a subset of Career Management. You will notice that I didn’t even mention the reasons you should join if you are looking for business benefits from social networking. Of course there is lots of business and other advantages to being on LinkedIn. Read my LinkedIn book as well as new LinkedIn book for business for all the details! If you still don’t understand what is LI and its value and why you should join and leverage it, I have not done my job as a blogger and LI advocate. If you are still confused please comment and let me know how I can help you see the light! I am using Linkedin since last year. And I have good connection. But I never get any useful things there. i’ve been on linkedin since 2010, but it never worked for me, Although i’m quite active with my profile, skills and daily updates. Thanx Neal for share it. You are absolutely right. Linkedin is a powerful platform to boost carrier. We can linked from many expertise which are relevant to our carrier field. Thanks – and couldn’t agree with you more! I may be missing out on something or truly do not understand but I do not know how hearing about what someone else does for a living helps me. I have been a member of Linkedin for over a year and even though I have noticed plenty of people that I know and know me on there, it has not helped me to find better employment which is why I joined in the first place. People who know me and are in positions where they can help are not rushing to reach out even though they may know about my professionalism and the quality of my work. How does this type of NETWORKING help. William, with all respect, it’s all about who you know. and LinkedIn helps you stay in better touch and connected to those who you do know. What do you with it from there is up to you, whether it’s using LinkedIn’s Advanced People search tool to map out organizations where you want to work and find which of your connections can make an introduction for you or browsing through your connections’ connections to see who it might lead you to. Neal Schaffer, thanks for sharing this post. Very helpful post. thanks for sharing such information. Well said. Agree with you completely. hi neal I have a ? I work with multilevel network com. what good is linkedin for me? what can it do for me? LinkedIn is full of people that you can network with Ricardo … I assume that would provide you some value, no? Is LinkedIn a site that would be beneficial for a blue collar worker wanting to move to a western state? Yes. How would you know 1) where to look for a job and 2) how to promote yourself when there are so many companies that are active on LinkedIn looking for employees? While there are definitely more white collar jobs being posted on LinkedIn, the same decision makers are on there, so even just to set up a nice profile to promote your personal brand would be a good investment of time in my personal opinion. when I accepted an “invitation” from a friend to join LinkedIn, I didn’t know what I was getting into. Apparently, all my contacts are being “contacted” requesting (from me) an invitation to join. I am not exactly thrilled about this. There are people I don’t want to hear from again accepting. Some business contacts of mine are upset about my “invitation” & I don’t know how to go about releasing them from LinkedIn. How has this happened?? AND what can I do to remedy this situation & informing people that I did not offer up any invitations to join. I have heard many people make this same complaint, and I am not 100% sure of the source of the problem. But, if you upload your contact database and send invitations to all of them, those that are on LinkedIn will receive the standard LinkedIn invite while those not on LinkedIn will be invited to join LinkedIn from you. The only way to remedy the situation is to go back and see who you might have sent invitations to by re-uploading your email database and contacting them one by one. If you never authorized LinkedIn to access your contact database, then this is a bigger issue and you should be in direct contact with LinkedIn. t get time to talk to him. That’s what LinkedIn is for John! I have no business, I do not work. I am on disability. What, if any, benefits will I get from joining? I still dont even understand what LinkedIn is or is about. I got an invite from someone I know and dont know if there is any real point in joining. If you don’t want to get back in touch with people, reach out and network with new people, or read business and career information, LinkedIn might have limited value to you Trey. I noticed your 30 September reply to Gloria and, since I am a bit further along “in the boat” at age 77 and no longer in the work force, devoting most of my time instead to volunteer activities, I truly doubt that any benefits can be accrued if this old engineer and sailor were to join LinkedIn. I do no social networking at all and really have no intention to start in at this point in the boat — someone else can man the oars. So, my question is: how can I politely decline invitations from other septuagenarians to join them in LinkedIn? Is there a “button” I can press on your site which states “Thanks, but no thanks!” in a kinder manner? Thank you! My recommendation would be to either 1) reply without accepting and creating a message that you could copy and paste explaining that you won’t be accepting their invitation or 2) simply press the “ignore” button. Hope this helps! Let me know if you have any follow up questions. I have been contacted by some friends to join. I am 66 yrs old, retired & see no value in joining. Some of my friends are much younger & professions but others are in the same boat of retirement. Why should I join? Hi Gloria, if you have no reason to join than you shouldn’t. If you are using social media to help keep in touch with friends, Facebook might be your best bet. However, there might be some people that you have worked with or went to school with that you might not find on Facebook but might be present on LinkedIn. For that reason alone I think there is value in opening up an account and connecting with long-lost friends… Just one idea for your consideration. So what’s your take on those that are now semi retired? I left my job of 30+ years, it had become a miserable situation and my Wife is now our sole income generator. I am not officially retired but have no interest or need at this time to find employment, it would be something totally different anyway so my current LI profile really isn’t relative. I hesitate to walk completely away from it but it’s really just a snapshot of where I was when I left last year. Social media all comes down to your objective. If, by staying on the site, you’re able to keep in touch with old colleagues and friends also be searchable by them, doesn’t that in itself have value? Would love your thoughts vis a vis your objective and my idea. Thanks! I still don’t see much advantage. The only people that can view my profile are LI members (or is there some way that is not immediately obvious)?. Other people would have to sign up, but will probably just move on to googleing (or even the phone book) professionals in my area like I am about to do. Yes maybe I could have signed up by now instead responding to this blog but i still don’t know how a profile is even presented let alone what chance I have of finding the skills i’m looking for. If I could view the profiles of freelance mastering engineers & then contact them without being a member then I could see the point & I would be more inclined to use it. It’s much quicker to pick up a phone, talk to a human, & come up with a plan. No blogs, emails, or digital sheep involved ! LinkedIn has 200 million+ users. If you want to be found – or find others – that represent that community, there are benefits in joining. But if you don’t see any benefits in joining, there is no reason to join! It all comes down to your objective more than anything else in my opinion. As is so typical of many of the supposedly brilliant websites out there, I have found LindedIn impossible to contact to straighten out my problem. It claims that my e-mail address is already in use. Oh, really? Then why has it worked on other sites all these years, and in hotmail as well, without any notice of duplication? Never mind the run-around I’m getting by trying to rectify the situation. You’re the closest I’ve been able to get to a contact. You bring up a very good point. There is one post on this blog that has garnered a number of comments from users in a similar situation to you with complaints where LinkedIn doesn’t seem to be listening. Definitely not good for their PR. Hopefully your situation will rectify itself soon, but please do keep us posted! So when u get an invite from a professional friend or relative and you are not a professional why would I want to join? Also should I even be on LI then ?? If you have no reason to be on LinkedIn you should probably stay away from it! I am a CPA looking to re-enter the workforce after 20 years. I lived overseas 14 of those years and did volunteer work at the kid’s school, etc. Would LinkedIn benefit me? I do not have a job now and am in the process of updating my technical and computer skills. Clarice, LinkedIn benefits any and every networker because it’s where hiring managers are, your professional network is, and other professionals from whom you can learn from. Please give it a try – you won’t be sorry! Go to www.linkedin.com or the LinkedIn Wikipedia page for that information. Good luck! How would LI benefit me?.. I’m just a nursing student. Thanks so much for your comment. My retired father is in his 80’s, signed up to LinkedIn, and has been able to get back in touch with many people that he is worked with in his professional life that he lost touch with over the years. He has been able to meet some of them and have phone conversations with them as well. So, for retirees, LinkedIn (as well as Facebook) could help you get back in touch with those you might have lost touch with. If this is something you are seriously interested in, you should take advantage of the opportunity. The other way in which LinkedIn might interest you is to stay on top of news in your industry or whatever interests you in the business world. Finally, you could use LinkedIn to meet new people in your area by joining local LinkedIn Groups as well as looking for local networking events in the Events application. So reasons for using LinkedIn are only limited by what your potential objectives might be. If you’re looking for photos, games, and funny jokes, Facebook will be a funner experience. But LinkedIn can also help enrich your daily life in many ways. Hope that this explanation made sense. Feel free to respond back if you have any follow up questions. So, I am retired or try to be at least. So what connection should I have to Lindedin or Linkedin to me? As a retiree how do I contribute Do I have anything to contribute? Of what value is it for me to be connected to Linked in? I had no knowledge of Linked in until a friend invited me to be connected a few days ago. Perhaps you could give me some insight into some of the questions I have asked. Why would I refer someone who’s on LinkedIn if I haven’t used their services. And why would I use someone just because they’re on LinkedIn. Am I going to tell people “hey, use this guy for your carpet cleaning. I have no clue who he is and I’ve never used his services, or anyone I know, but hey, he’s on LinkedIn.” I’ve had friends try to refer me to someone they had dinner with, or stood in line at Starbucks with, but know nothing about them.” I’ve had people from LinkedIn ask if we could have a mutual referral agreement. If I refer someone it’s going to be because I’ve seen their work, or a friend has really seen their work. Not just because they picked up the person’s business card somewhere. I want someone to prove their abilities before I refer them. LinkedIn is a platform for social networking among professionals. So, imagine you went to a Chamber of Commerce meeting. Would you, after arriving, take a megaphone and announce to the crowd at maximum value about the services your company offers? You wouldn't right? You would first get to know the people around you, ask what they do, and maybe, slowly, start to introduce what you do without unbalanced self-promotion. Does this make sense? LinkedIn is no different. 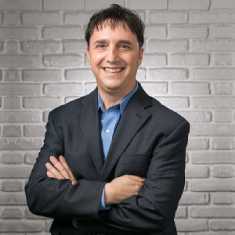 Start blasting new connections and LinkedIn Groups with self-promoting messages and you will be ignored. Start asking how you can help others and become a good listener and you may have a chance to have people help you find business. Promoting on LinkedIn isn't any easier than promoting at a Chamber of Commerce meeting. it is the same scenario: it is people-centric, so you need to have good people skills in order to succeed. Remember Christine, social media was made for people, not businesses. In order to succeed you must be a good networker. And I believe my book, and the concept of Windmill Networking, shall give you some good advice on how to succeed not just in LinkedIn but any other social networking website. Hope all of this makes sense to you. Good luck…and do let us know how you do! Your book looks like it will be very helpful…Thank you! Do I just introduce myself to business people on Linked In and tell them about my great service that I have to offer them? Or do I chat and have a signature file? Or do I post info about my service somewhere? How exactly do I promote my service on LinkedIn? Thanks for the comment. I agree 100% that I would love to be able to meet all of my contacts in LinkedIn….however, my opinion is that if I were to do that I would be limiting myself to the potential of connecting with people with whom I could create a mutually beneficial relationship. I also only send out invitations to people who I have something in common with as well. 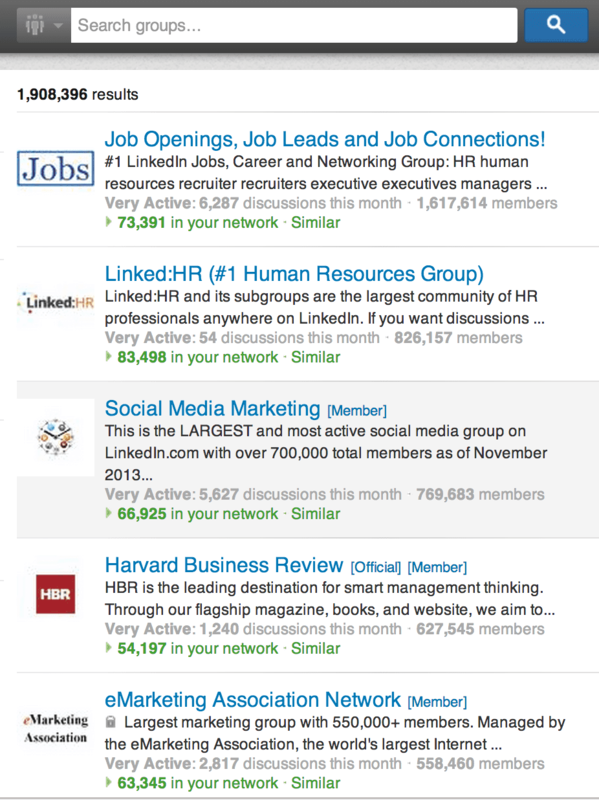 On the other hand, the definition of a LinkedIn LION is someone who accepts all invitations that they receive. Even if you don't advertise yourself as a LION, if you accept all invitations you are an “Open Networker” in my book. I believe people must meet their contacts in LinkedIn, or at least, to share something in common to be in contact. But on the other hand, I accept all the invitations I get, but I don´t ask to be in contact to someone without a good reason. Am I a LION, a panther, a leopard o a CAT? Good morning Neal, I just started my home base Avon business and I’m trying to build my customers on line. I built my web site as well as a page on face book. My question for you is, how would LinkedIn benefit my business? Thank you! I hope you're a member now! Please feel free to connect with me as well! I just came back from a visit to Rwanda – beautiful country you have! I did a LinkedIn presentation last week for about 100 people and I asked how many LinkedIn users also had a Twitter account? Five hands raised, but they all had LinkedIn accounts! Just the opposite of what you were talking about in your article. Must have something to do with geography, they don't use Twitter in the MW. Sorry if my comment made no sense to me. What I am talking about is the wording in your resume headline or professional headline on LinkedIn, which appears just before your name. The keywords or language that you you use here will decide how others perceive you. I could write “Social Media Book Author”, “President, Windmills Marketing”, or “Social Media Strategist”, and depending on which I choose that is how people will form opinions about me. That is why you want to try to find language that showcases your strengths and that differentiates you. If you just put a company name there, that is not a personal brand but a company brand. What did you do at that company which would give someone a reason to hire you? That's what you want to try to hint at in your Professional Headline. I am trying to be as clear as I can in my explanation…hope this makes sense. Well my LinkedIn Book goes into details about your personal brand on LinkedIn, which I call your “LinkedIn Brand.” A brand is how people perceive you. Whether you like it or not, you are being googled and people are looking at your profile without having personally met you. They are already perceiving you in a certain way based on what you have (or don't have) on your LinkedIn Profile, for instance. Your Professional Headline, the area below your name, is the most powerful part of your profile and should be heavily branded, or seeded with content proactively that 1) shows off your strengths and 2) differentiates you. Hope this makes sense…for a further detailed read, I really do recommend you invest in my book. I think it will be a convincing and informative read for you. To be quite honest what you wrote makes no sense to me. Sorry, there are just no specifics to what you write. In your article 10 LinkedIn Mistakes You Shouldn't Make –2. LinkedIn Profile Headline is Not Branded Enough. Could you please explain what to put in your profile headline? Underneath my name is the name of my company, is that correct? Could you also explain “brand” as you use it quite a bit. Oreo, Clorox, IBM are my examples of a brand. How does brand refer to me? Thanks for the compliment Michael! Good analogy about career insurance. LinkedIn sits on the professional end of the social media spectrum, so many people write it off. You do a good job of describing the benefits of joining. LinkedIn is a professional network. By signing up for it, you can now search for and be found by other professionals. You can join groups with other like-minded professionals, search for long-lost colleagues, and even find Answers to business problems. It is not what the benefit of LinkedIn is to you: it is more like what is your objective in using social media? If you have an objective with a professional-related reason, I am sure there is a LinkedIn benefit for you! Can you crarify me if someone wants me to sign for the linkedIN WHAT IS THE BENEFIT TO BE ON IT. One of my brother ask me to add with his professional network. I DONT UNDERSTAND WHAT DOES IT MEAN? Please answer my question before I agree. Well, since you're commenting on my blog, you're now one of us ;-) That being said, I agree that online networking is only one type of networking and that meeting people in real life should be the most valuable type of networking. why dont you all get a REAL LIFE and get off the internet and go meet people in real life like everyone used to do!! dont rely on Social Networking just on the internet!! my god people have we lost touch with reality??!! LinkedIn is free Rita! I wrote my LinkedIn book based on the free version so no need to pay any money unless you start using it and want to get additional value out of it! OK, I get what you are saying … but how do I keep from getting bogged down with “constant contacting”. I'd like to join LinkedIn as a professional, but I already spend enough time with email and I don't want to be chatting and having mundane interactions with people just because they want to boost their LinkedIn profile, or whatever. I also don't want to get so inundated with contacts that it takes up the better part of a day better spent getting real work done. I've already received more Facebook invites than I can think about … and I don't even belong to Facebook! It seems like it can get out of hand, can LinkedIn be tightly managed and how do you keep it under control? I CONCUR WITH THE COMMENTS FROM DON ON SEPTEMBER 23RD, 2009. AS AN EXAMPLE, I DO NOT HAVE AN ACTIVE ACCOUNT WITH FACEBOOK YET THEY CONSTANTLY NAG ME WITH EMAILS VIA MY GMAIL. HOW IS LINKEDIN BETTER IN THAT REGARD? WILL I BE SUBJECT TO COMMERCIAL BOMBARDMENT? You hit it right on the nail again Neal, I have myself used the insurance image many times to illustrate social networking, networking in general and LinkedIN. When I am told it takes too much time, my answer is “like insurance, it's always too expensive….until you need it” and you do not buy a policy after you have an accident. Networking is all the time, not just when you have lost your job or are looking for new business opportunities. Networking is the work you do now to shorten or eliminate transition time.